Ballpark Estimate: $600 to $5,000+ per Ear (most in the range of $1,500 to $3,000 each). Today, close to 33 million people suffer from a hearing loss and this number is expected to increase over the next 20 years, according to the National Institute on Deafness and Other Communication Disorders. If you fall into this group, you don’t have to resign yourself to mastering the art of reading lips in order to communicate with others. If your problem can’t be treated surgically, you may still be a good candidate for a modern hearing aid, which can magnify sounds for you. While the latest technology isn’t an appropriate fit for everyone, many people are finding that using a hearing aid can make a real difference in helping them live life to the fullest. Hearing loss can occur as the result of a variety of factors, reports the Better Hearing Institute, an organization that provides education and information on hearing-related issues. The group says that about 40 percent of people with reduced hearing can blame their problem on environmental noise, while another 40 percent experience changes in their hearing as they age. The other 20 percent may suffer from hearing challenges due to genetics or injuries. If you suffer from hearing loss, regardless of the cause, you may want to consider the range of hearing aid options that exist today to find the style and model that will best meet your budget and your situation. The latest crop of hearing aids available are smaller than sleeker than those in the past, making them much more discrete. In fact, some of them are so subtle that you can’t even see them once they are placed in the user’s ear. The newer models also rely on more advanced forms of technology for the most precise results. But such improvements come at a cost, making it essential to do your homework in order to determine what you need and what you can afford. If you are finding it increasingly difficult to hear or understand things, you should talk to your doctor about your concerns and have your hearing ability tested to find out exactly what the extent of your problem is. Keep in mind that most people don’t just wake up one morning and find their hearing ability has decreased, but this is typically a gradual problem, so you may not even be aware of the full seriousness of your condition. The experts say that in about five to 10 percent of cases, hearing can be restored with surgery, but in the other 90 to 95 percent of the time, your best bet may be to meet with an audiologist to find out what is the best way to treat your situation most effectively. The concept of a hearing aid is to amplify sound and bring it directly to your inner ear. This can be done in several different ways. First, you can get an analog hearing aid, which magnifies all sounds to the same degree. 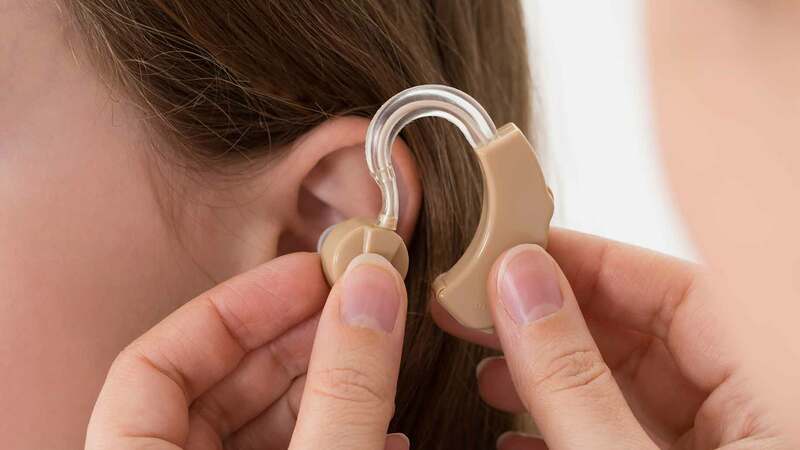 This is one of the most basic (and least expensive) of the options, and can be an appropriate choice for people with all sorts of hearing needs. If you want to be able to change your hearing aid capability for different settings, you may be interested in a programmable analog style. This uses a microchip that allows you to specify different settings to help you hear well in a handful of environments. You can also purchase a hearing aid that relies on the latest digital technology. This method is more advanced that analog and also can cost more. It works by using a computer chip to translate the sound into code that can be adjusted to accommodate your specific hearing needs. This is the most popular type in the market today, although it costs more than the simpler analog options. But many users say the benefits outweigh the increased investment required. You can buy a hearing aid that fits directly in the ear canal. This can be anything from a tiny model that is completely contained inside your ear, to a half shell style that is custom molded to cup your ear and fit partially inside. While the smaller the style the less visible the aid will be, just keep in mind that the smallest hearing aids are typically less powerful than larger ones, offer fewer features and have a shorter battery life. You can also select a full in-the-ear hearing aid, which is more obvious to the onlooker, but is also much easier to handle and to adjust. In addition, this style uses larger batteries that usually last longer than the miniature counterparts. A behind-the-ear hearing aid is another popular choice. This style cups the top of your ear almost like a question mark, with the amplifier resting behind it. The sound is then carried from the amplifier to a devise that sits inside the ear canal. Finally, an open fit hearing aid is a small contraption that sits behind the ear and carries sound through a small wire into your ear. This is a small, relatively inconspicuous option that is an appropriate choice for people with high-frequency loss who can still hear low frequency sounds well. Some of the hearing aid styles also offer a range of special features. These include directional microphones that can help you to hear better in the midst of a crowd or other noisy setting. You can use a telephone adapter, also called a telecoil T switch, which blocks out background noise so you can hear sounds over the telephone better. In addition, some of the modern hearing aids rely on Bluetooth technology that allows you to talk on a cell phone or telephone wirelessly via your hearing aid. Finally, some hearing aids also allow you to adjust the settings using a remote control. This means you won’t have to try to adjust the small hearing aid device itself. Regardless of the type of hearing aid you select and any special features that you get, the experts warn that getting used to having sound amplified can take an adjustment process. Everything sounds different when it is magnified, and even your own voice will be unfamiliar when you hear it broadcast via your hearing aid for the very first time. As a result, a hearing aid won’t be able to help you to hear things the way they sounded in the past to you. Instead, it will be able to make sounds easier to hear and understand and to help block out background noise. The more you use your new hearing aid, the more “normal” to you the sounds will become. Just in case you don’t feel comfortable with what you get, though, always ask before you buy a hearing aid what the return policy is. In many states, hearing aid customers are allowed a trial period and can exchange the device for another one if they don’t end up liking it. The best place to start shopping for a hearing aid is to meet with a local audiologist who is certified by the American Speech-Language Hearing Association. This is a professional who specializes in measuring hearing impairment and making suggestions for how best to treat each specific situation. Your audiologist should be able to assess your needs and to make recommendations on the best type of hearing aid (or aids) for you. In addition, you can count on an audiologist to help teach you how to use your new hearing aid or aids, since these often take time to get used to and to break in. If you live in a more rural area and don’t have access to an audiologist, you may need to work directly with the hearing aid dealer instead. Many dealers can also perform diagnostic testing and find the proper fit. Regardless of who you use to assess your case, it is important to make sure that the person is licensed to practice in your state. The cost of a hearing aid can span a wide range, depending on the extent of your hearing loss, the style of device you prefer, and how sophisticated the technology is that it contains. There is also a fair amount of variation between different brands and providers. The most basic models, which are often analog and of larger size, can start at around $600 or $700 and can go to about $1,500 or more. Digital hearing aids can cost considerably more. In fact, they can be double the price on average. They start at around $1,400 for a basic behind-the-ear model and can go up as high as $3,000 or more. The open style hearing aids are typically the most expensive. These can go up to about $5,000 or higher for the most complicated models, although you can also find some for less. Keep in mind that many people need two hearing aids, so whatever the price is, you will pay double that to accommodate both ears. It is also important to note that the most expensive hearing aids often don’t provide the greatest benefit when it comes to effectiveness and usability. The experts say these features often don’t correlate with price, so even if your budget is tight, you may be able to get a good basic model that will meet all of your needs at a reasonable price. Note: If you qualify for Medicaid, your hearing aid could be covered under your plan. Some private insurance plans also allow for part, or all, of the expense, but this is increasingly rare. No matter what style hearing aid you select, you can usually expect the cost of the fitting to be included in the price. However, you will need to consider the additional cost of the batteries, which vary from style to style, as well as how long they will last (some models go through a new battery EVERY WEEK), since this can factor heavily into the overall investment. You can expect to spend anywhere from about $5 to $20 a battery, although the brand and type can affect the price, and you may be able to buy them in bulk to save money. Many internet companies offer hearing aids online at a discounted price. But experts warn that when you order online, you give up very important services. It is recommended that you see a professional to have your hearing loss correctly assessed, to find out the most appropriate style hearing aid for your needs, and to have it adjusted appropriately for your situation.